My friends were craving fish and chips so we decided to go to Pajo’s in Steveston. They actually have two locations in Steveston, one is on the wharf on Bayview street and one is at Garry Point Park. We went to the Garry Point Park location. I like how they give you these trays to carry your food to your table! Sadly this was not our order. We couldn’t find a table so we settled for sitting on a log with these plastic tables for our food. We all ordered a Small Cod Fish and Chips. Once you receive your order, they ask if you would like tartar sauce and of course we said yes! You can also help yourself to a lemon wedge on the counter. 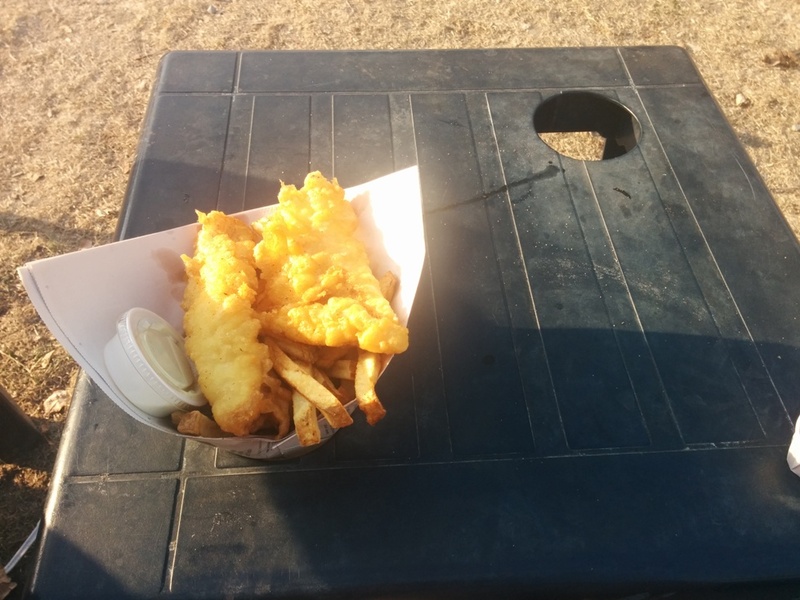 The small fish and chips comes with 2 pieces of fish while the large comes with 3 pieces of fish. The fish was sooo flaky and moist! I gobbled it up pretty quick. Wasn’t a huge fan of the fries but they give you a lot! The paper cone is actually deeper than it looks. 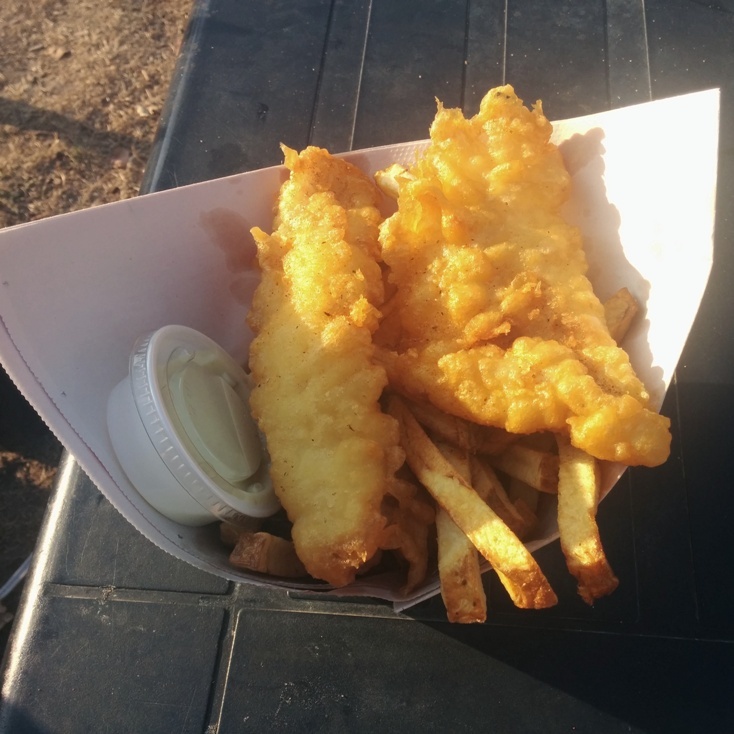 Our fish and chips cravings were satisfied and no wonder this place is so popular! The food and service is quick too. 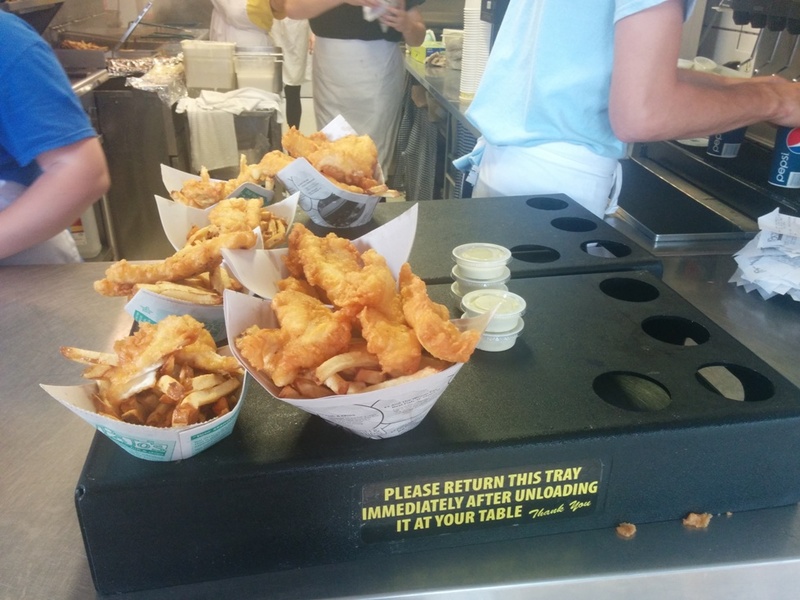 This entry was posted in American/Burgers, Fast Food, Food Reviews and tagged fish and chips, fries.